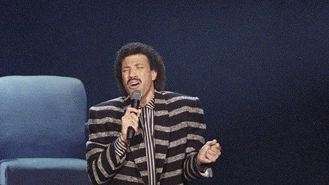 The 64-year-old singing legend - who will be presented with the honour at the BET Awards in June - confessed it felt strange to be at the stage in his life that he's getting that kind of award. Lionel said: "I don't take it lightly, especially from BET because I know, I know the talent that's there. So, I'm quite honored. "I was shocked... I didn't realise I had finally grown up to that stage." The star is busy with his All The Hits All Night Long tour, which kicks off its second North American leg May 29 in Vancouver, Canada. The song list will include hits he had in the 1970s and early 1980s with the Commodores. The Hello singer left the band to go solo in 1982 and enjoyed even greater success, including Grammys, an Oscar and a Golden Globe. Lionel joked: "If I wait another 10 years, even I won't remember the lyrics."